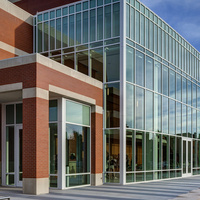 The Jack H. Miller Center for Musical Arts, completed fall 2015, includes two performance venues, classrooms, practice rooms, faculty studios and office space for the Department of Music. The 64,000-square-foot complex is built along Columbia Avenue between 9th and 10th streets. Enjoyed it very much, but it was difficult to hear at times., especially the moderator, she faced away from the audience and sounded muffled. Content was very interesting. Thank you for bringing this type of dialogue to our community! What an exciting event! I enjoyed the book and the community spirit behind The Big Read. Unfortunately I wasn’t able to stay long because my mom was unable to hear and I found it difficult as well. Both the interviewer and author had an echoey sound quality through the mikes making it hard to understand. The Homecoming Gala Concert was fabulous! I would have loved to hear the choir do a couple more pieces. It was awesome! Such talent and so well rehearsed! It is always exciting to see the end-of-year concerts and witness the improvements of our student musicians. Sometimes it's remarkable how much progress is made over the course of only one year of study. That's why I try to attend at least the opening and closing concerts each academic year. Love the continued growth of Hope's Folk Music programming! --Mark Lewison, The Klooster Center for Excellence in Writing. Chapel Choir singing their new commissioned piece by Robert Schafer. Great Event and gorgeous new choral work sung by Chapel Choir!